It is very common to associate a foreclosure with a bank, and this idea is reinforced when we see advertisements for “bank owned” properties. Mistakenly, we also believe banks are taking the biggest financial hit when a house is sold as a foreclosure. However, the fact is that in many cases a foreclosure is not owned by a bank. If not the bank, then who owns these distressed properties and takes the financial loss? Fannie Mae (Federal National Mortgage Association) was created in 1938 during the Great Depression by Franklin D. Roosevelt, set up as a government-sponsored enterprise(GSE), and later converted into a publicly traded company in 1968. Freddie Mac (Federal Home Loan Mortgage Corp.) was founded in 1970 so Fannie Mae wouldn’t have a monopoly on government-backed mortgages. Their collective purpose is to buy mortgages from savings and loans, banks and lenders to provide cash for more mortgages. The mortgages purchased by Fannie Mae and Freddie Mac are packaged into mortgage back securities(MBS) through a process called securitization. This process transforms realtively illiquid loans into highly liquid securities. Therefore, the bank or lender who originates your loan or that services the loan by collecting monthly payment is probably not the entity that owns the note. While relatively unknown to the general public, the significance of Fannie Mae and Freddie Mac to the mortgage market cannot be underestimated. Combined they hold approximately $5 trillion of mortgages, about half of the nation’s home loans. Losses to Fannie Mae and Freddie Mac are expected to approach $400 billion before the foreclosure crisis ends. The graph to the right from The Cromford Report shows the percentage of distressed sales by city, many of which were owned by Fannie Mae and Freddie Mac. Who really pays for foreclosures? On September 7, 2008, Fannie Mae and Freddie Mac were placed into conservatorship. The federal government now explicitly guarantees debt issued by Fannie Mae and Freddie Mac. If you want to know if your loan is owned by Fannie Mae or Freddie Mac, click here. I found out that my loan is owned by Freddie Mac, not the company I mail a check to every month. 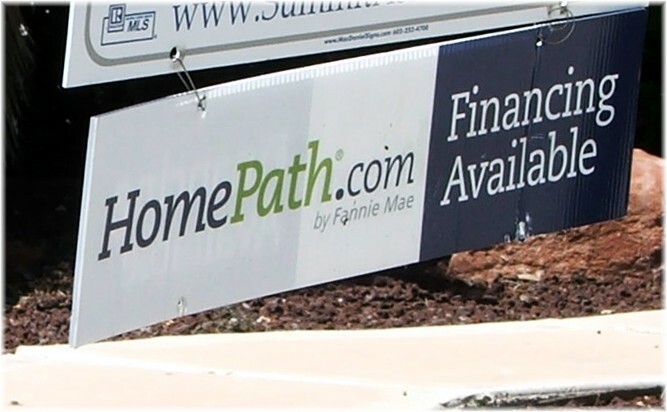 The next time you are driving around and see a HomePath or HomeSteps foreclosure rider on a Phoenix real estate sign, you can be assured that it is a Fannie Mae or Freddie Mac foreclosure, not a bank owned property. Additionally, it is not any bank that is taking the loss but the US government, and ultimately you and I. 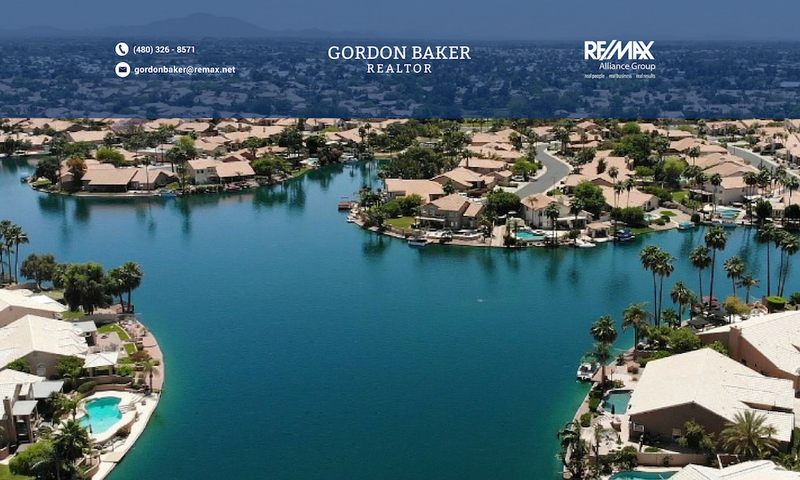 Enjoy the perfect location with this home in Gilbert. Upgraded floors, white kitchen cabinets, granite tile counter tops and a large area for entertaining as well as a breakfast nook. Freshly painted exterior with a large corner lot! Only a mile away from the Gilbert Town Square and two miles from Downtown Gilbert. Still located within the Chandler Unified School District! Priced to Sell!